All bills not related to the budgets must have passed out of their house of origin by Wednesday at 5 pm. As a result, many bills died and the focus of session continues to narrow. From here forward, the pace of session will pick up significantly. Cutoff brought mixed results for WSAC. Good bills passed, but good bills also died. Likewise, bad bills. 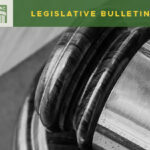 And, some good bills were amended in bad ways in order to keep them alive (see, for example, this week’s blog post on HB 1105). A number of high profile bills continue to move through the system, as well. “Cascade Care,” HB 1523, would create up to three standardized health plans per tier provided on the state health benefit exchange. Advocates say it will improve access to affordable care. Opponents call it one step closer to single payer medicine. The bill passed the House 57-41, and a bill to study universal care also passed the Senate. A bill to raise the smoking age to 21 passed the House, as did a bill to create a new employee-funded long-term care support and services program. 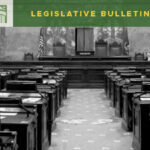 A bill to eliminate the personal or philosophical exemption for the MMR vaccine passed the House, aided by the unfortunate outbreak of measles in Clark County. 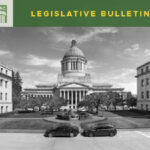 Governor Inslee’s request bill to create a statewide network of regional mental health facilities (tracked closely by WSAC) continues to move and has passed the House, as well. Bills that have passed out of the Senate include a plastic bag ban, the primary component of Governor Inslee’s climate change agenda – carbon-free energy by 2045 – and a bill to require presidential candidates wishing to appear on the state ballot to provide 5 years of tax returns. When asked the Attorney General’s office opined that the bill would likely pass constitutional muster. A bill to eliminate the death penalty once and for all also passed the Senate and awaits action in the House. Bills to put the state on permanent daylight saving time have passed in both of the chambers. If passed, the bill cannot take effect until approved at the federal level. The Governor also acted on 3 bills this week. In addition to the police deadly force compromise signed earlier this year, he has now also signed a bill that moves the presidential primary from May to March, a bill funding a bump stock buyback program, and the Native American Voting Rights Act. The latter includes a provision that creates a civil cause of action against counties that do not install ballot drop boxes as required by the bill. 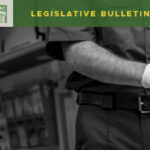 High profile bills that did not survive the cutoff include bills to subject the legislative branch to the Public Records Act, an assault weapons ban, and dwarf tossing (SSB 5486).